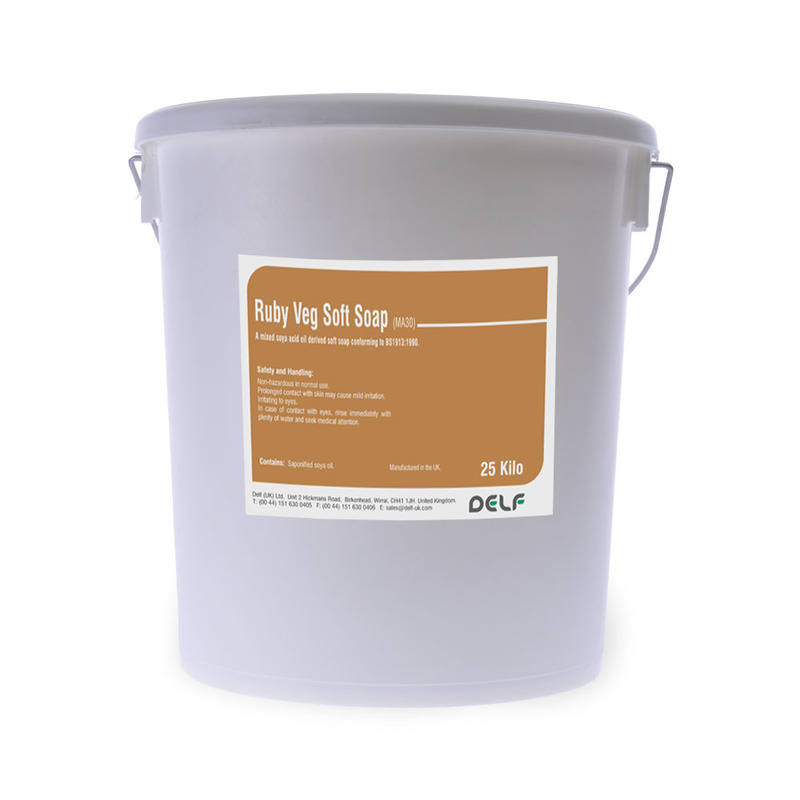 Ruby Veg Soft Soap is an all-natural soya oil based soap used predominantly for its excellent lubricant properties. It is the key building block in our Easy Joint Universal pipe jointing compound and Del-Lube range of lubricants. 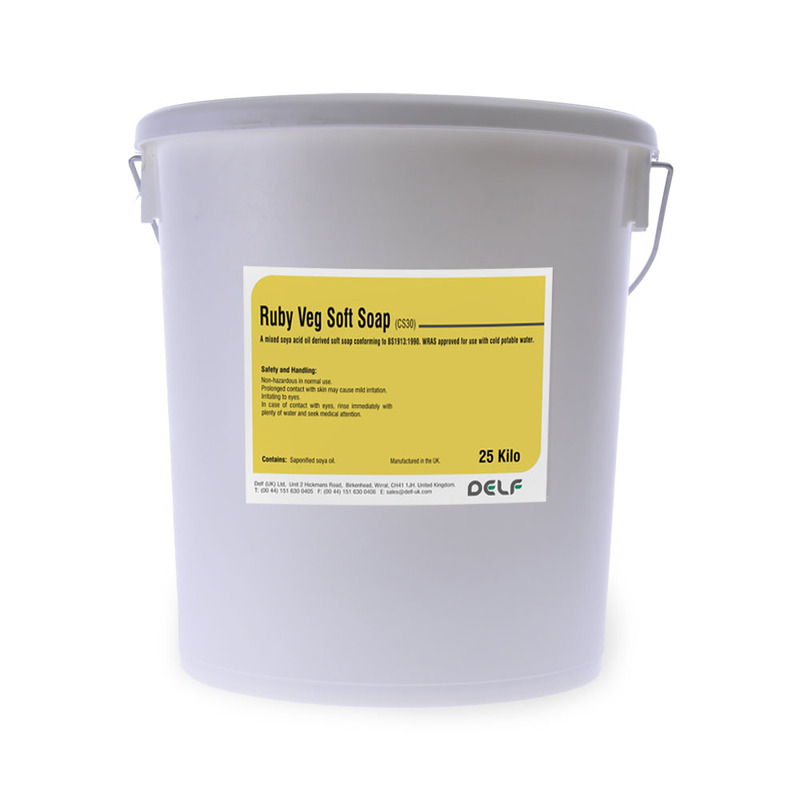 An all-natural acid soya oil based soap with highly versatile lubricant properties. Environmentally friendly. Minimum 28% soap content. A golden brown mobile gel. A high quality all natural soya oil based soap with highly versatile lubricant properties. Environmentally friendly. Minimum 28% soap content. A translucent golden yellow gel. WRAS approved for use with cold potable water.